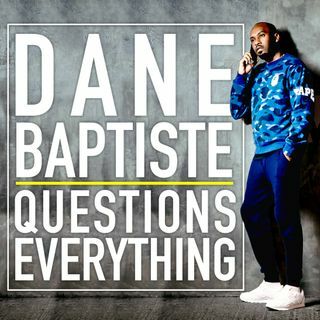 Welcome to Dane Baptiste Questions Everything, a podcast where comedian Dane Baptiste, producer Howard Cohen and a special guest take turns posing questions that just need answering. This is episode 25, it was recorded live in front of an audience at Up The Creek Comedy Club. Our special guests were comedian Tiff Stevenson & spoken word artist George The Poet. Tiff, George, Dane & Howard talk homelessness, hating your voice, knife crime, and creativity in the UK.